WILL THIS SLEEPY, UNDER-RADAR STOCK BE FAVORED BY FENGSHUI IN THE CHINESE NEW YEAR OF THE PIG? Dear readers, we are now in the Chinese New Year of the Pig. 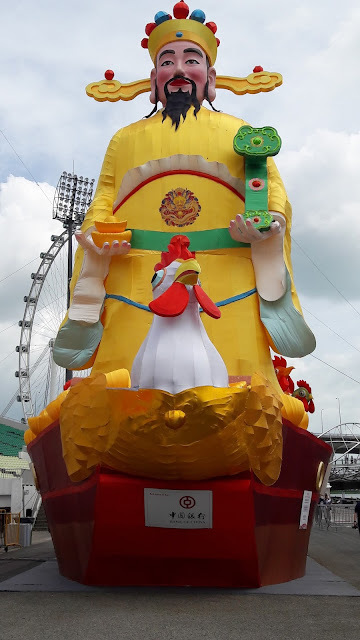 In my previous posts, I have shared with readers three Singapore stocks which may do well in the Year of the Pig (you can read or re-read this post here ). Similarly, I have also shared with readers one stock market which may also perform well in the Year of the Pig (as per the link here ). In this post, I will further share with you readers whether Fengshui will favour this sleepy, under-radar stock in the Chinese New Year of the Pig. The mandarin name of “Pig” is called “Zhu” (in Hanyu Pinyin) or “Choo” (in dialect). On the Singapore Stocks markets, we have one stock, whose name sounds similar to the dialect name of the “Pig”. Can you guess which stock is this? That is right! The stock is none other than Choo Chiang stock! As of 8 Feb 2019, Choo Chiang stock traded at $0.29 with a dividend yield of 2.76%. At its current share price, Choo Chiang is trading approximately in the middle range of its 52-weeks-high and 52-weeks-low price of $0.37, $0.194 respectively. However, it is also noteworthy that Choo Chiang is a stock which falls under the radar of many trading analysts. Will Fengshui favor Choo Chiang stock in the Chinese New Year of the Pig? Join the emailing list to receive regular Financial and Singapore stocks newsletters too! Like" me on Singapore Stocks Investing Facebook page to receive all posts on your Facebook as well as read more articles. Follow me on Twitter too.